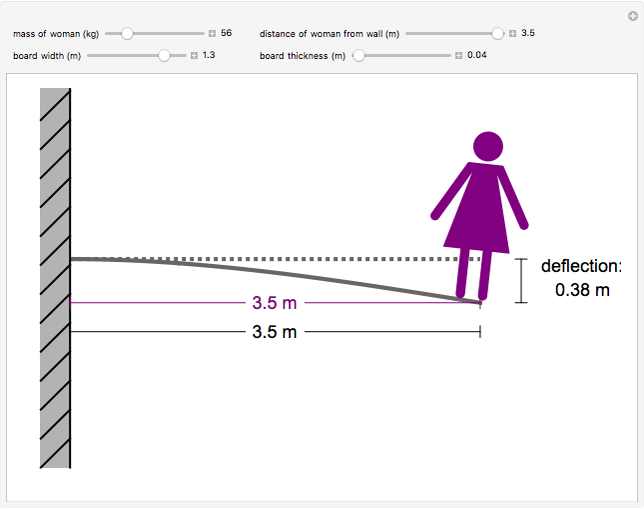 In this Demonstration, a woman stands on a diving board that is anchored to the wall on the left. 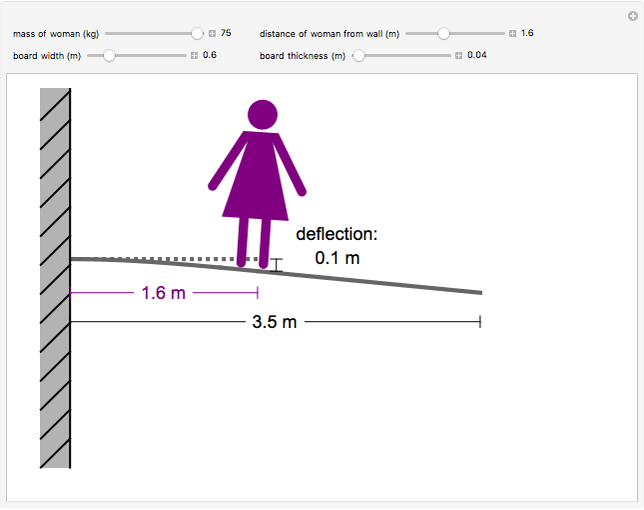 Use the sliders to set the mass of the woman, her distance from the left wall, the board width and the board thickness. 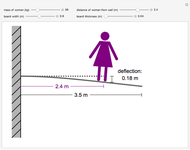 The deflection from horizontal is shown on the diagram at the location where the woman is standing. 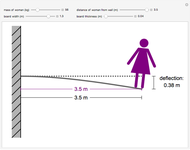 Assume that the diving board is weightless, so the length of the board does not affect deflection. 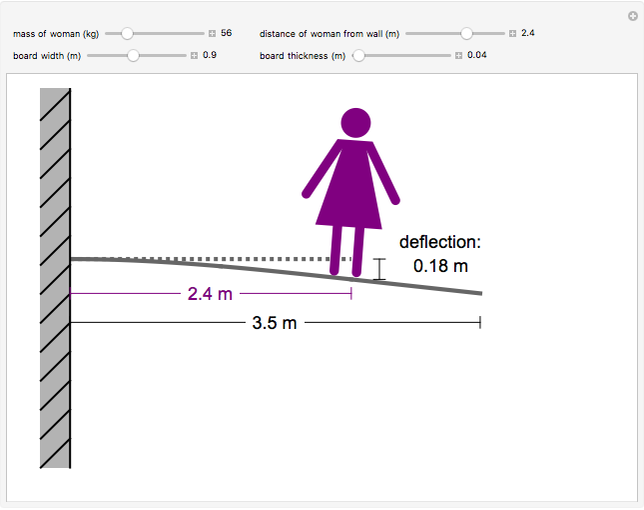 where is the mass of the woman (kg), is acceleration due to gravity, is distance from the wall (m), is the distance from the wall where the woman is standing (m), is the modulus of elasticity for plastic (Pa), and is the moment of inertia ( ). 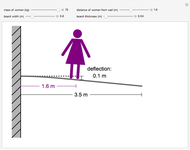 Rachael L. Baumann "Deflection of a Diving Board"